MONUSCO campaigns through dance and theatre in the Democratic Republic of the Congo. In August 2016, the United Nations Stabilization Mission In Haiti (MINUSTAH) hosted a five-day training of the “First Immediate Response Team (IRT) Foundation Course”. 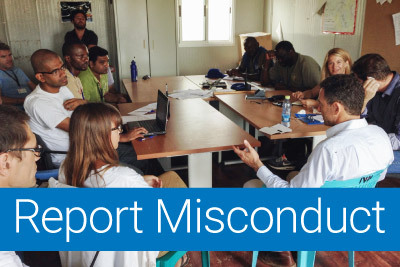 Sexual exploitation and abuse (SEA) is an issue of serious concern for peacekeeping missions.